Work has now started on the cataloguing of a collection of over 200 Silver age and Golden age DC comics to be auctioned on Saturday 13th April. Titles include Strange Tales, Amazing Spider-Man, Avengers, Captain America, Batman, Hawkman, Detective Comics, Lois Lane and many more. 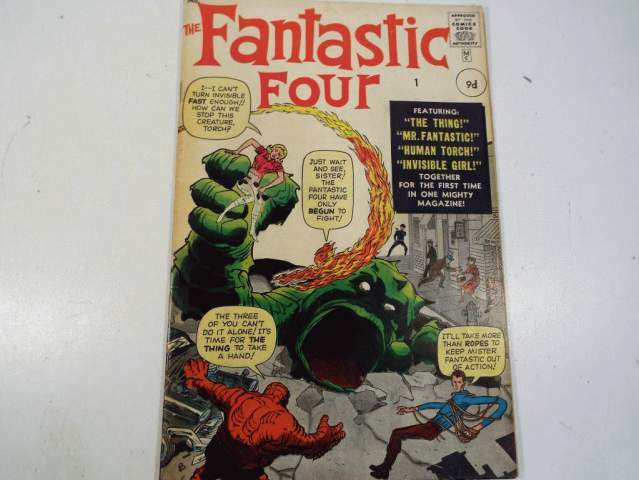 However the pick of the crop is undoubtedly Fantastic Four, issue number ONE dated November 1961 (see image). Many of the comics are CGC Universal high graded in sealed plastic containers.